May 9, 2016 by fmgarchitects. 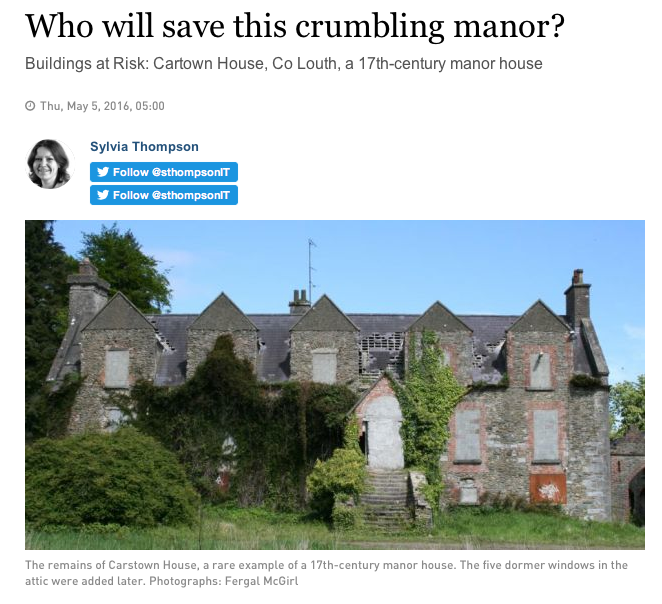 The Irish Times featured an article on the condition of Carstown House in May 2016. More details about the works can be found here.